This is a great library of AutoCAD Clock symbols. 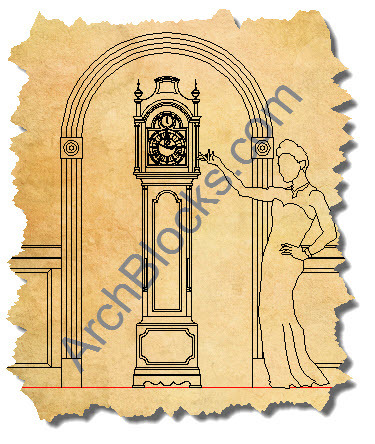 You'll find a nice selection of CAD clock drawings to add to your interior and exterior elevation design plans. 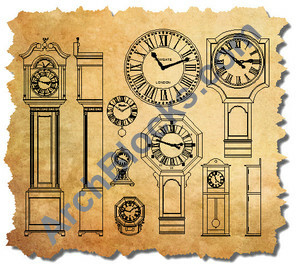 There are CAD symbols of clocks including wall clocks, mantel clocks, tavern clocks, floor clocks, and longcase clocks. See the ArchBlocks.com AutoCAD Clocks block library below. There is a preview of all the CAD clock drawings included in this library so you know exactly what clock CAD symbols are avaiable.